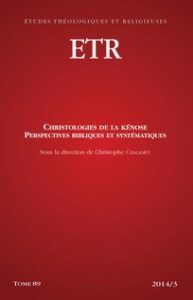 Jörg Röder agrees with Élian Cuvillier’s approach, especially about the « poetics of faith ». Yet he would like to underline the ethical effects of these poetics : faith is translated into and lived through acts, as we see in Philippians. Therefore, we have to grasp the ethical function of the hymn of Philippians 2 in the whole of the epistle.